John Fante was an eminent 20th century American writer of Italian origin. He prolifically produced novels, short stories and screenplays for big screen. His semi-autobiographical novel, Ask the Dust, is considered to be a monumental work in American literature. 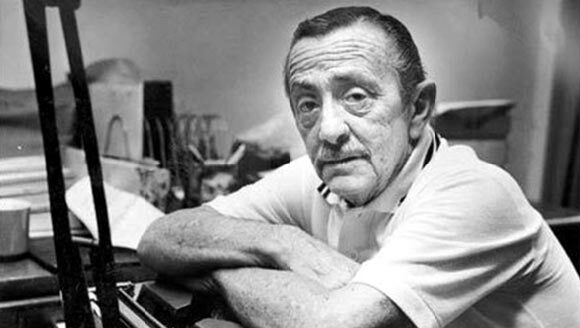 Born on April 8, 1909, in Denver, Colorado, John Fante was raised by Italian immigrant parents. His family faced severe financial problem in his childhood. He studied at a number of schools in Boulder, Colorado. Later he attended the University of Colorado for a brief period of time.So as to concentrate on his writing career he dropped out of college and relocated to Los Angeles, California in 1932. Here he worked numerous odd jobs before finally having a chance to publish his short stories. He made several attempts to have his short story published in an esteemed literary magazine, The American Mercury, but failed. However, later the story, “Altar Boy”, was considered by the editor of the magazine on certain conditions. In 1937, he got married to Joyce Smart and had four children. Around the time he tied the knot, he was landed a scriptwriting job in Hollywood. Fante made his first attempt at novel writing with The Road to Los Angeles, in 1936. However, the book was not published until after his death and is considered to be a sequel in the Bandini series. Wait Until Spring, Bandini (1938) was the first novel in “The Bandini Quartet” published in 1938. The other novels followed in the four-novel series include Ask the Dust (1939) and Dreams from Bunker Hill (1982). Fante dictated last book to his wife as his health was deteriorating. Among these four books, Ask the Dust is considered to be a classic roman à clef. Much of the novel is inspired by actual incidents in Fante’s life. The novel features the character of Arturo Bandini, who serves as the alter-ego of the author. Fante is one of the first writers to highlight the dystopian state of Southern California during Great Depression era. His alter-ego Bandini is depicted as a lost and depressed person among others who are suffering with the same condition. Critics have drawn parallels between Ask the Dust and Knut Hamsun’s Hunger. The title of Fante’s book itself is taken from Hamsun’s novel Pan. One of the established American writers known for his magnificent literary work, Charles Bukowski also drew inspiration from Fante’s character Bandini in his novel. The recurring themes in Fante’s novels were the problems he himself faced growing up and struggling in America which include identity issues, poverty, life as a writer and Catholicism. In 1940, Fante published a collection of short stories, entitled “Dago Red”. Subsequently, he resumed scriptwriting and produced a comedy-drama film script Full of Life (1957). The script was based on his novel with the same title and was nominated for Academy Awards. Some of his other renowned scriptwriting works include Walk on the Wild Side (1962), Something for a Lonely Man, Jeanne Eagles, and Dinky. Owing to diabetes, he lost his eyesight by 1977 and the years that followed he lost his legs too as they had to be amputated. He died on May 8, 1983, leaving host of unpublished works. American literary canon now includes John Fante’s contributions, although he was completely neglected during his lifetime. He was posthumously honored and awarded the PEN USA President’s Award and is now internationally recognized as the literary giants of 20th century.